What are the USB communications options for HunterLab sensors? 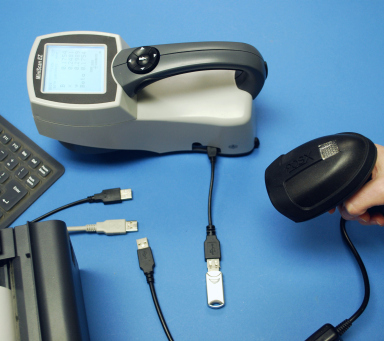 MiniScan EZ and ColorFlex EZ have full USB communications to PCs and other USB flask disks, keyboard, barcode scanner, and printer devices. Some customers have the latest PC technology which may only include USB COM ports. Other customers still have standard 9-pin RS-232 Serial connectors on their computers. HunterLab has programs for both. Our new MiniScan EZ and ColorFlex EZ sensors have full USB communications. As new instrument models are released, USB communications will be standard. WiFi may also be available. 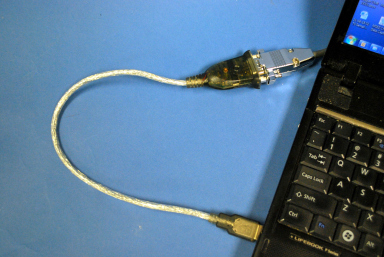 USB-to-Serial Adapter to bridge between a Serial COM cable on a HunterLab sensor and a USB port on a PC. For customers with HunterLab sensors with serial communications and a PC with USB COM ports only, the use of a Serial-to-USB Adapter (A10-1011-777) provides a good connection work around.